Winter is finally fully upon us and every brewery is rushing to get their winter seasonals on the shelves yet in a sea of innovation Snowbank Brewing has created something truly special that stands apart from the rest. 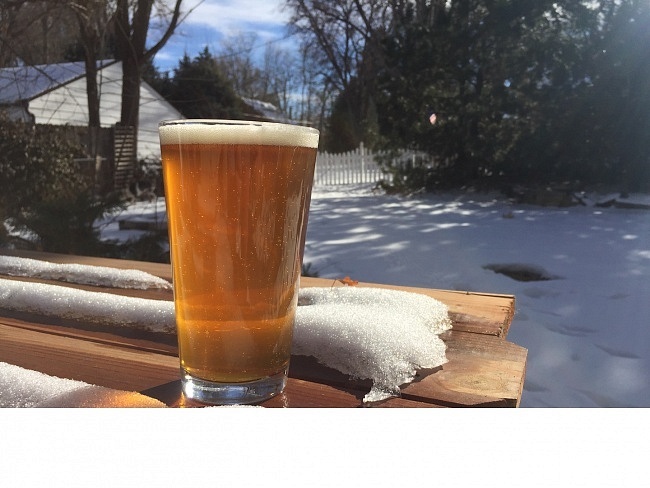 Instead of the tried and true winter big beer, trappist, or imperial stout Snowbank Brewing in Fort Collins has created Crankenbrew; a Coffee Pale Ale that that balances two facets of brewing that I never thought would go together, but in this case they are fantastic. What most excites me about this beer however is its versatility; I am not a big mimosa or bloody mary fan so during brunch outings with friends I am always on the lookout for great ‘breakfast beers’ that are light, satisfying and multidimensional; Crankenbrew fits all of these aspects perfectly and I cannot imagine another beer that would go better with an overpriced and locally sourced eggs benedict. Out of the bomber Crankenbrew pours the classic pale ale gold brilliantly with a dense pure what head of 1/8th inch foam. The nose opens with distinct coffee notes and noticeable hop profile that augment the sweetness of the malt perfectly adding a new dimension to first impression of this beer. 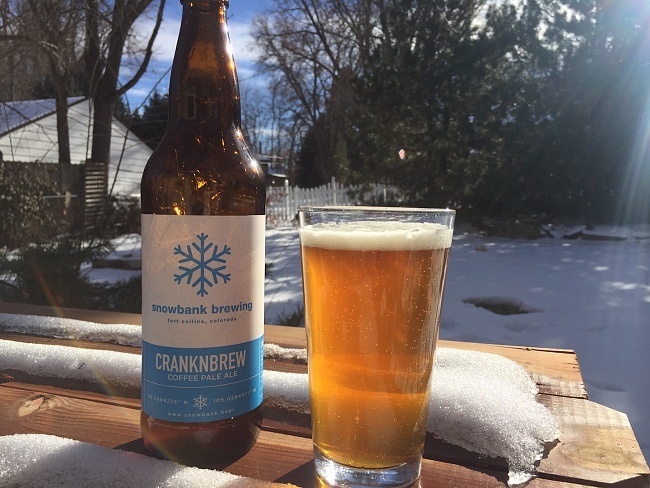 At its base Crankenbrew is superb pale ale that is refreshing with a moderate hop profile and malt sweetness that I have come to expect from any top tier pale ale. The added fresh coffee infusion adds a dimension unmatched by any other beer I have had that makes it beg to be drank during a brunch outing on a frigid winter morning. Crankenbrew is perfectly balanced yet diverse and intriguing, it finishes clean with lingering coffee notes begging to be enjoyed again. 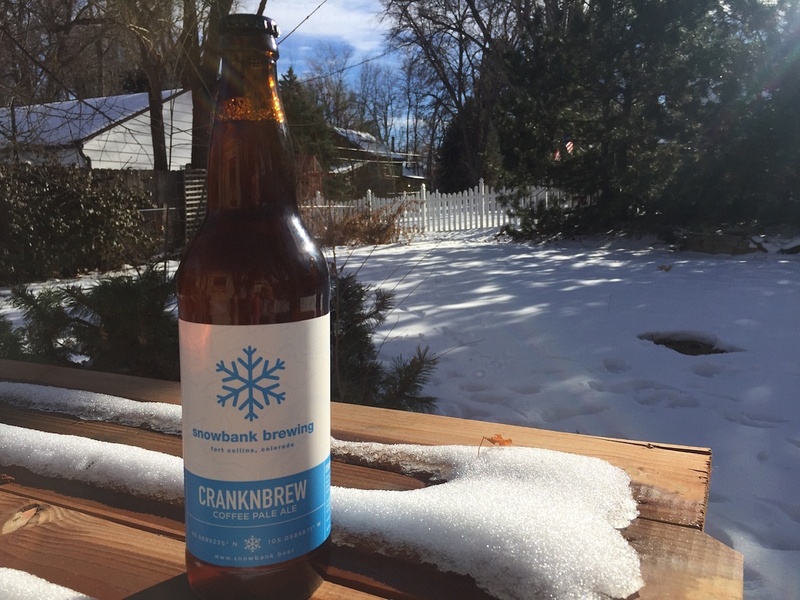 I had a few other winter seasonal bombers from different breweries this season and while they are all very innovative and creative in their own right it was Crankenbrew that stole my heart due to its perfect balance that does not compromise any of its component parts. Be sure to crack one open on a morning you have off and enjoy what I think may be the best breakfast beer you can have.